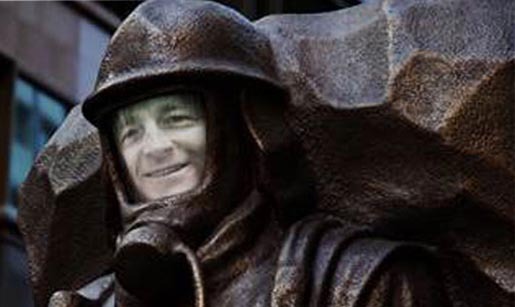 NSW Fire and Rescue in Australia is offering citizens the chance to become immortalized in the Town Square as a statue? 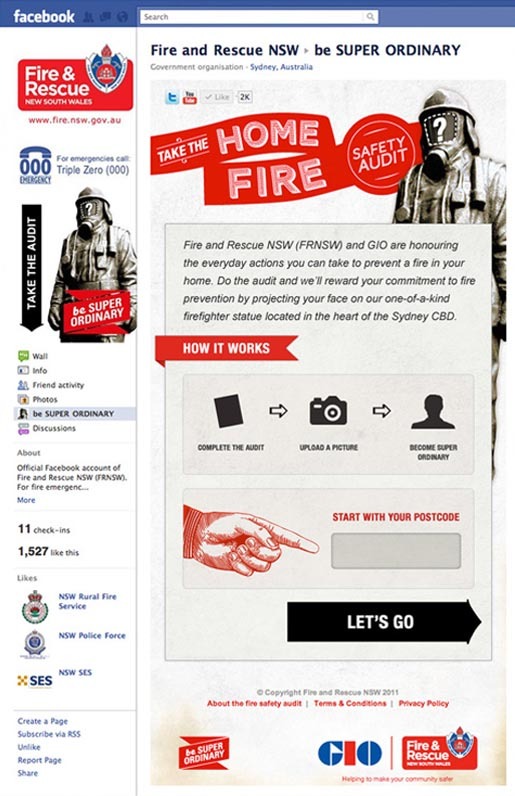 The campaign encourages visitors to go to the organization’s Facebook page, input their postal code, and answer various fire safety questions. For example, “Have you or anyone you live with left the stove-top unattended recently?” The idea is for participants to go through a kind of self-assessed “audit” that will show them cracks in their fire safety habits. 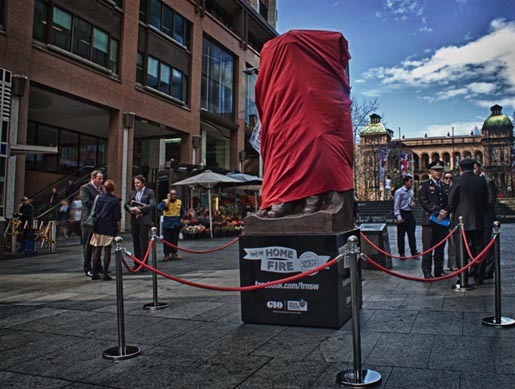 Once someone goes through it, his or her face will be projected on a 3-meter-high bronze firefighter statue in downtown Sydney as a reward for their commitment. The Super Ordinary Statue campaign was developed at MercerBell, Sydney, by executive creative director David Bell, digital creative director Carmela Soares, art director Ben Lent, copywriter David Barton, head of copy Simon Gaffney, digital development director Scott Forrester, account director Iain Griffin, agency producer Lucy Proffitt, designers Dan Fowler and Gene Stapleton. Production was by DI The Creative Shop, Liu & Balboa Sculptures.